Welcome to a place of faith, peace, hope, and tranquility! Founded in 1894,the Franciscan Sisters of Chicago developed from a gathering of eight zealous, dedicated women into a vibrant, fervent Congregation. With a sense of their own history, the Sisters saved documents, books, articles, letters, and photographs relating to their foundation and growth ranging from 1894 to the present. These historical treasures recount the rich tradition of the Congregation and the Sisters' determination to secure their place in the Church's history of compassion in ministry. Opened in 1992, the Heritage Hall where these archival materials are displayed is truly a place of physical and aesthetic beauty. The arrangement of the entire exhibition into six distinct sections lends itself to the comprehension and appreciation of the specific phases in the growth of the Congregation. 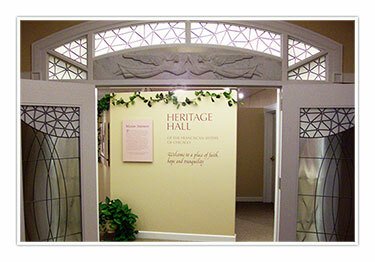 The use of soft hues enhances the beauty, naturalness, and dignity of the Heritage Hall. Besides being a rich source of history and tradition, the Heritage Hall is a haven for prayers and meditation because of its reflective atmosphere. This historical collection will give the visitor an appreciative insight into the Congregation's history and inspire admiration for a group of women, who, more than one hundred years ago, committed themselves to building the reign of God in our times. The first exhibit traces the history of the Dudzik family in Poland where they had lived under the oppressive rule of Prussia. In the tiny village of Plocicz, Joesphine Dudzik was born in 1860. Here she attended elementary and vocational schools. In 1881, motivated by pressing social and economic needs , Josephine and her parents were part of the huge migration to America. Featured in this section are photos of the Dudzik family, their house, the church they attended as well as the school where Josephine Dudzik trained as a seamstress. Photos of her baptismal certificate and baptismal font in the village church are shown. 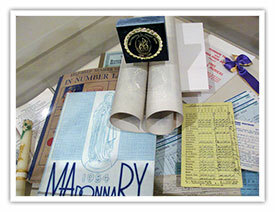 Books typical of those used by Poles in their devotional prayer are displayed. Also included in this section are books pertaining to the Resurrectionist priests who served as the founding Sisters’ spiritual guides. The second part of the exhibit presents selected photos of Chicago where the Dudziks took up residence in America. Valuable photographs show the Dudzik house and the interior of St. Stanislaus Kostka Church, and then foremost Polish parish in the world, to which the Dudziks belonged. Photos of Milwaukee, Noble, Ashland, and Division Streets near downtown Chicago, site of the largest Polish community in the United State, are also displayed. In 1893, Chicago experienced a severe economic depression, and the people of the city suffered physically, spiritually, and financially. To alleviate the suffering of the poor and homeless, Josephine Dudzik urged the member of the Third Order of St. Francis to join her in a life of prayer and service. Under the guidance of the Reverend Vincent Barzynski, CR, and the patronage of Blessed Kunegunda, the Congregation of the Franciscan Sisters of Chicago was born in 1894. Objects in this section include books, journals, notebooks, and various articles connected with the foundation of the Congregation. 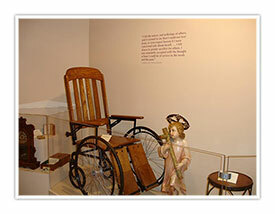 Among the items on view are statues of the Child Jesus and of Our Lady of Victory which stood in the original Motherhouse on Hamlin Avenue in Chicago; a wheelchair used in St. Joseph Home; coins of the era; marbles used for voting on issues; and the threshold board of Mother Mary Theresa’s sleeping quarters - a threshold over which she stepped hundreds of times. Sister Mary Theresa and the women banded together to live as religious Sisters in order to minister to the poor, aged, and crippled. In 1897, Sister Mary Theresa and the Sisters build St. Joseph Home for the Aged and Crippled in the Avondale area on Chicago’s Northwest Side. Various papers here exposed relate to “Admit” cards, records of orphans, and warrants for admission to the orphanage. Herein are found photos of the original St. Joseph Home/Motherhouse as well as the Novitiate House. Papers include a map of the property, a warranty and deed concerning the property, and a supportive letter from Mayor Carter Harrison. The founding Sisters supported themselves, the aged and orphans by taking in washing, doing domestic work and sewing. 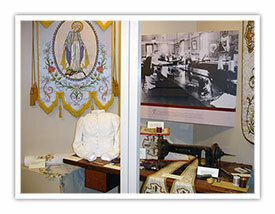 Against a background of a large wall photo depicting the Sisters at work in the Embroidery Department, some of the beautiful items the Sisters produced are displayed: a chasuble, chalice veils, a stole, a dalmatic, a cope, and an antependium. One of the treasures displayed is a white weskit made by Joesphine Dudzik herself for a young girl in the neighborhood of St. Stanislaus Kostka parish. Sister Mary Theresa Dudzik recognized prayer as the source and expression of the Sisters’ community and personal life. This section showcases the prayer books and devotional books that the Sisters have used since their foundation. The Sisters guide their daily lives in the Congregation according to Constitutions which express their life and mission in the service of God, the Church, and humanity. 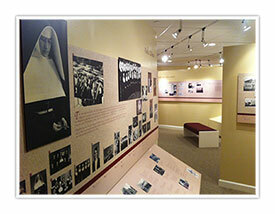 Featured in this exhibit are the many Constitutions, formulated by the Sisters, by which they have governed themselves. This exhibit focuses on the change in the religious habit worn by the Sisters from their foundation until the present time. One of the features of this section is a copy of the original garb, created by Sister Mary Theresa and Sister Mary Anna, and worn by the founding Sisters. Each item of the religious habit is identified and defined. In the corner of this exhibit, carefully selected photos are arranged to create a detailed dateline from 1894 to the present day. 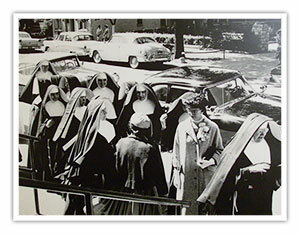 The many photos presented here illustrate each stage of the religious life from the postulancy to the profession of perpetual vows, and the subsequent changes in the religious garb. In announcing the Good News, the Sisters have always been responsive to society’s call for help. The Sisters consider the needs of the times and accept various forms of ministry in accord with the spirit and aim of the Congregation. The photos that line the wall of this section represent every ministry the Sisters have embraced: the education of youth on the elementary and secondary levels, the care of the sick in hospitals and nursing homes; the care of senior citizens; pastoral, parish, catechetical and prison work; and , mission work in Mexico. A large standing book in this area contains the photos that could not be accommodated on the walls. Included in the book are lists of the Congregation’s catechetical vacation school missions, and the higher institutions of learning that the Sisters have attended through the years in preparation for their various ministries. 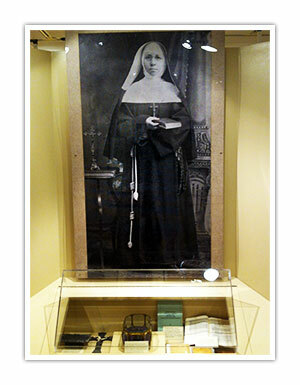 A sectional case in the corner area contains selected memorabilia associated with the Sisters’ ministry. One of the most important aims of this exhibit is the overview it offers of the campus of Our Lady of Victory Convent Motherhouse in Lemont, “the Village of Faith.” As the Congregation continued to grow, the Sisters purchased the Walker mansion and land in 1926. Eventually, the mansion became the site of the Congregation’s Novitiate for the next thirty-seven years. In 1936, a new Our Lady of Victory Convent was built to house the infirm and retired Sisters. In 1964, the convent was converted into Mother Theresa Home; in 1991, it was razed to make way for a new and larger Mother Theresa Home. When, in 1991, the ministry of the Franciscan Sisters of Chicago was extended to include a retirement community, the Franciscan Village was built consisting of coach homes, apartments, a day care center for adults, and assisted living quarters. This particular exhibit offers photos of the Motherhouse and cemetery of the Franciscan Sisters of Chicago, the St. Francis House of Prayer, the chaplain’s residence, and several grottoes dedicated to St. Francis. Many of the emerging works of the Congregation and the sites where they are located are here exhibited. In this area are also found projects connected with the Franciscan Sisters of Chicago such as: The Theresa Dudzik Service Award, the Mission Effectiveness Program, the Office of Development, and the Associate Program. A mission in Guerro, Mexico, welcomed a Franciscan Sister of Chicago in ministry in 1991. After a life marked by faith, hope, love and submission to the Holy Spirit, Mother Mary Theresa is a candidate for beatification and eventual canonization in the Church. This exhibit gives an insightful view of Mother Mary Theresa’s beatification and canonization process which began in 1972. Photographs and newspaper articles concerning this process are presented. Books and magazine articles which deal exclusively with Mother Mary Theresa and the Franciscan Sisters of Chicago are also featured. Among the valued articles highlighted in this collection are those associated with her death in 1917. In a particular showcase, on view are fragments of the wooden casket of Mother Mary Theresa Dudzik, the crucifix from the lid of the casket, and the crucifix worn by Mother Mary Theresa during life and which is embedded in a piece of her woolen habit. One of the Congregation’s most valuable possessions, the “Chronicle of Mother Mary Theresa Dudzik” in which she outlines the founding of the Congregation and its early days, is found here. 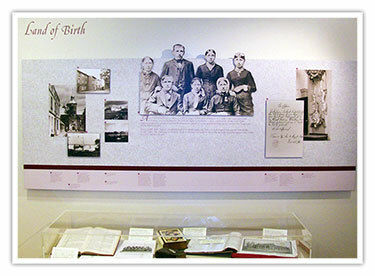 The official histories of the Congregation are also displayed. The Heritage Hall is located in the Our Lady of Victory Convent of the Franciscan Sisters of Chicago in Lemont, Illinois, 50 mile southwest of Chicago and 30 miles northeast of Joliet. To schedule a tour or for more information call (630) 243-3600.